including catalog, circulation, inventory, serials control, and OPAC. The catalog module provides for the creation and updating of catalog and holding records. 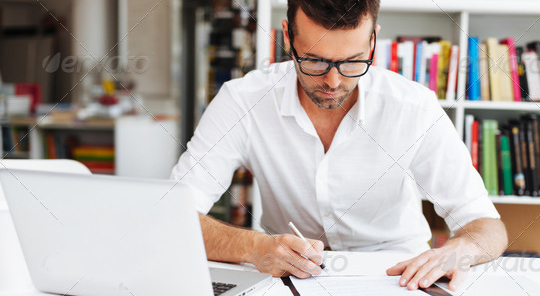 You can import records from standard MARC format, hand enter records, or pull records from one of many online resources, including our Z39.50 connection to the Library of Congress. The Z39.50 protocal can also be used by client applications to search your own library in a vendor independent manner. The catalog module allows you to add one or more copies to specific catalog records and do basic and advanced searches. Book jacket images can be shared, allowing faster and easier item identification. Each catalog can have multiple holding/copy records linked to allow true collection management features including inventory control and serials tracking. You can also attach multiple jpeg or pdf files to each catalog record and link eBooks to build a truly digital library. All catalog and holding records can be exported in standard MARC format. The circulation module provides for fast check in, checkout, renew, hold, clear hold, and reserve of items for patrons. Enter a patron's bar code number just once, and then check out one or many items to that patron as required. Enter the next patron number and continue with that patron. With a bar code scanner you rarely have to touch the keyboard. Circulation provides quick email receipts to patrons after checking items out. A new self service circulation portal is now available. The feature is designed for those libraries and locations where patrons are allowed to check out and check in materials at a dedicated self service station. The patron module allows you to import or hand enter patron records. Patron records can include an optional patron image for quick user verification. Items that have been checked out, reserved or placed on hold for patrons, can be checked in, checked out or cleared in the patron module. Basic and advanced searching is also available. As in circulation, the patron module also provides a quick method to send emails with a summary of the patron's transactions. The serials module allows an easy method for tracking expected repeating items. Once a title is setup, the next expected item is created automatically after the last item has been received. Holding items in the catalog module are automatically created after receiving a serial item. Missing reports and letters can be sent to vendors on items that have not been received. The inventory module allows you to verify the status of your collection. The inventory process provides instant feedback on items that have not been checked in properly. A missing items report tells you which items are missing from the shelves. LibraryWorld has a wide range of reports for each application. From catalog reports, patron overdues, and statistical reports to library spine and pocket labels, you'll find the report you're looking for. 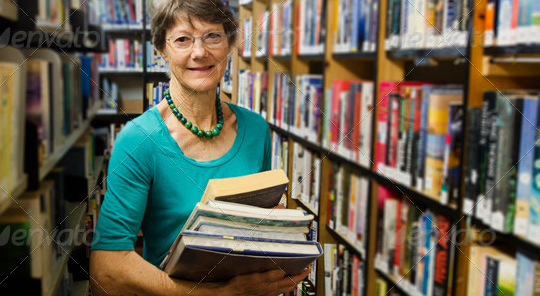 The Online Patron Access Catalog (OPAC) is a separate program designed specifically for your patrons to search your collection. It provides basic and advanced searching with multiple display modes, items status and book jacket display. Link directly off your own web site for a seamless transition to library searching with a return link back. The user interface can be customized to even look like your site. A new option has been added to link your catalog records to the Google Preview Book service, allowing summary and even content viewing of books in your collection. LibraryWorld provides two approaches to search your collection using mobile devices. The first is through a Web application specifically designed with a custom user interface to allow mobile phone users easy access. The second method is through native mobile applications. 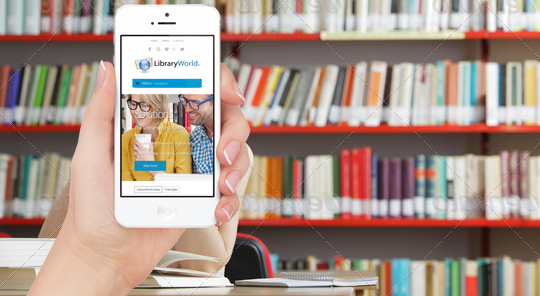 Currently, the LibraryWorld Mobile Search program is available for Apple's iPhone and iPad and can be downloaded for free from the Apple AppStore. See who is using LibraryWorld.